Clark Cranes is a family owned and operated company with over 30 years' experience in the crane hire and sales industry. 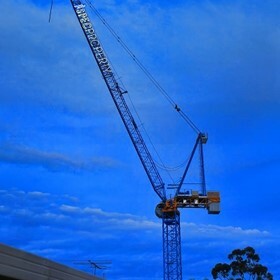 As one of Australia's leading tower and mobile crane companies, we strive to deliver only the best service available to our clients, whether they be domestic or large scale construction sites. We pride ourselves on supplying the best and latest technology tower cranes on the market, that's why we have aligned ourselves with Raimondi Cranes. We work closely with our customers to ensure the most efficient crane is used to the lifting specifications of their site. Safety is paramount.